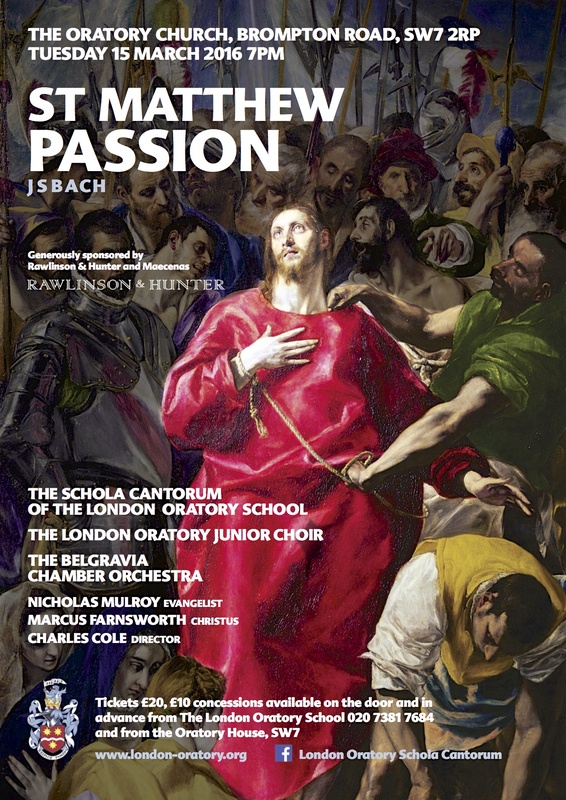 Last week I took part in a performance of the St. Matthew (or ‘Great’) Passion put on by the Schola Cantorum of the London Oratory. The performance was given with boy trebles form the Schola singing not only the upper lines in the choruses but also the soprano and alto arias and ariosos, a serendipitous arrangement only ten days following the death of Nikolaus Harnoncourt who had pioneered this in his recordings of the Bach Cantatas for Teldec. You can see photos from the concert here. This entry was posted in Concert on March 22, 2016 by admin.